Check out the new poster featuring my automotive profile art. 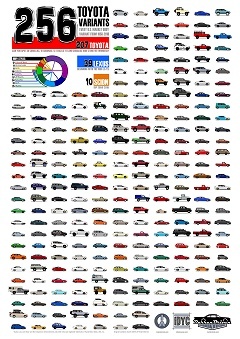 Illustrations of all 256 Toyota variants sold in the US since 1958 are arranged on an oversize poster available in two large sizes and two finishes. Limited edition, get them before they're gone!